All of the elements for the perfect farm are ready for the new owner. 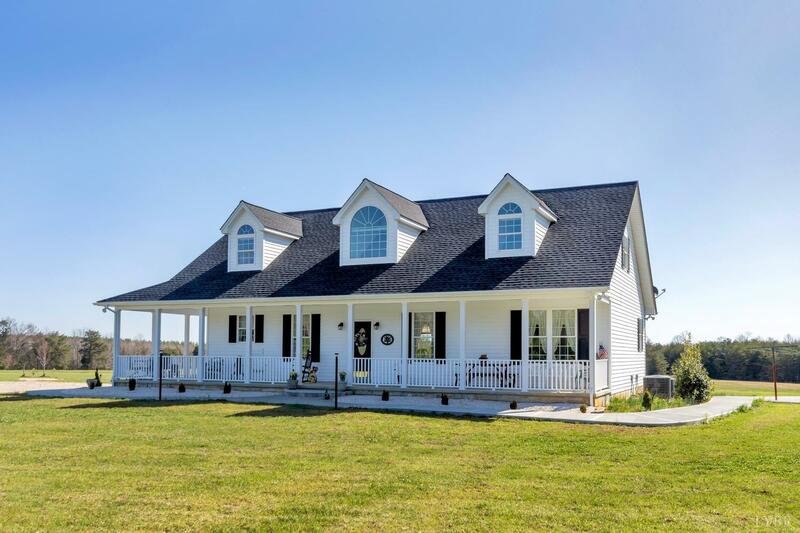 The glistening 2500+ SF home, large barn, storage building, equipment building, & large fenced-in garden area are well situated on 30 acres of pristine pasture & balance in woods. The home features open floor plan, triple window set in the great room for enjoying the incredible view of the land (could be horse pasture in the future), 2 first level bedroom suites each with its own private bath, & a unique light-filled 2nd floor room running the length of the upstairs with a full bath (perfect as a guest area). The house is wrapped on 2 sides with a wide concrete covered porch & a concrete walkway all around the house. The buildings (currently used to house owner's commercial business) can be modified for another use (horse barns, large vehicles, or for another commercial business). 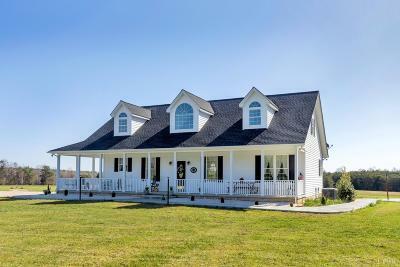 The property location is very private yet just 10 minutes to the historic town of Appomattox.